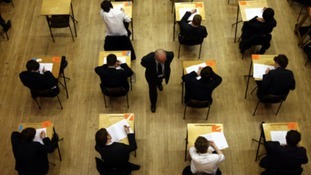 Scottish exams: when is a curriculum not a curriculum? Students across the South of Scotland learned their fate this morning as exam results were delivered either through the letter box, or by text. Across the region, over 240,000 students from S4 to S6 got their marks this morning, however some student might not have gained the results they were expecting. Skills Development Scotland have set up an exam results helpline for students seeking advice. The helpline can be reached on 0808 100 8000 and is open from 8am to 8pm on 9 and 10 August and 9am to 5pm on weekdays until 12 August. Royal Mail is delivering thousands of exam results on behalf of the Scottish Qualification Authority (SQA) today, Tuesday 8 August. Around 136,500 certificates will be dropping through the letterboxes of pupils all across Scotland. Over 2,500 will be delivered to pupils in the TD postcode area. There's been a record number of pupils gaining a Higher qualification in Scotland, with many pupils taking on the new-look Highers. Jenny Longden has been finding out if youngsters at Peebles High School have been getting top marks. The anxious wait is now over for thousands of pupils in the south of Scotland. Those who took Higher and National Four and Five exams before the end of term found out their results this morning. It's the first time pupils have sat a new version of the Highers exam, and a record number of Highers have been awarded. I'm very pleased I got two As a B and a C.
I can do my advanced highers that I chose to do and I'm looking forward to it. I want to go to university and study media and communications, hopefully go on to do radio when I'm older." 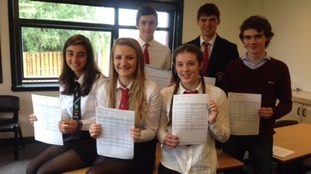 Pupils in the Scottish Borders have recorded the region's best ever Higher pass rate. There was also an increase in the number of pupils achieving Advanced Highers, with a 9% jump in the number of school leavers who got A grade passes, and a 90% pass rate of grades between A and D.
This is the first year of the new curriculum for Scottish Highers, and Scottish Borders Council says the strong performance of its pupils demonstrates that the changes are working. These results paint a highly positive picture for the young people of the Scottish Borders and are a strong testament to the commitment, dedication and hard work that has been shown over the past year by pupils, teachers, parents and carers alike. What these results clearly show is that more young people are leaving education in the Scottish Borders with higher levels of qualifications and attainment and moving on to positive and sustained destinations. We have an increased number of qualifications being achieved by many more young people. Our teachers are more ambitious for our pupils and the adoption of an inclusive approach is providing them with greater employment or higher education opportunities." Political Editor Peter MacMahon says some eyebrows have been raised by today's results for the new Higher exams. Test results received by pupils in Dumfries and Galloway shouldn't be compared to last year's, because of changes to the system, according to the Chairman of the Council's Education Committee. Given the significant changes made to the exam system by the Scottish Government, this year’s S4 results can’t be compared with previous years as new exams and structures apply and these results will, therefore, need more time to assess. The Scottish Qualifications Authority has made a video to help pupils who have questions about their exam results, and what to do next. The number of passes was up more than five percent on the previous year. But critics question the fairness of the new system. Exam results day: Where to go next?